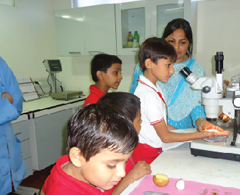 Children learn about academics and non-academic aspects through regular interactions with various visiting experts to the classroom and school. The visiting experts are drawn from the Parent group as well as from the larger community. 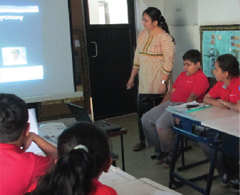 The experts come with specific agenda of sharing and discussion with the children. More often, they also demonstrate certain real-life aspects in the class for a practical understanding of children. Children prepare interview questionnaires before each visiting expert interaction in order to learn the process of conducting interviews and finding out information from primary sources. Field Trips are an integral part of our teaching-learning program at Redbricks. The field experience provides children with hands-on learning experience and exposure to life skills. Field trips provide the opportunity to connect abstract classroom learning to real-world experiences. If students are able to make real-world connections to classroom learning, the learning takes on significance, and directs the students' attention and engagement. Field trips and field work are part of every theme that is undertaken across the year. Field work are the first hand investigations which is done in and around the school environment to build on new knowledge based on the personal experiences. Every unit will be having a field trip /field work experience involved as a part of the inquiry driven learning. At Redbricks, field trips are not just opportunities to learn by observation, but to also engage in fieldwork. 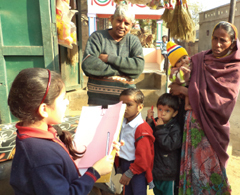 Children conduct research, interview people, gather data and materials, etc., to find out more information related to their subject-related topics through actual fieldwork. There is a yearly overnight camp organized by the school for the children. These camps are a great time for adventure, learning and social skills development. Class 1 & 2 children spend a night out in the school campus. 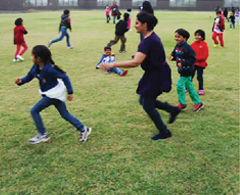 Activities such as nature walk, sky gazing, games, dance, campfire, bedtime stories, etc., are conducted during the camp. 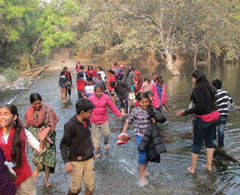 Class 3 onwards- Children and teachers go for a night camp to nearby places around Ahmedabad. 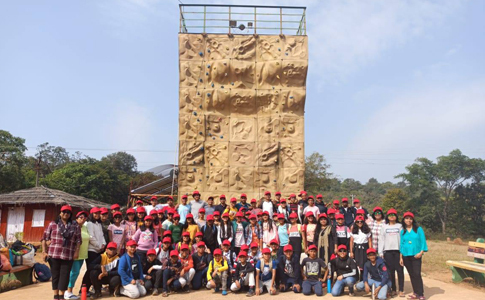 Some of the purposes of the camp include exploration of nature, exposure to cultural heritage, camping experience, life skills and leadership development, bonding amongst children and teachers, among many others. Children engage in ongoing apprenticeships with professionals and artists within the community. 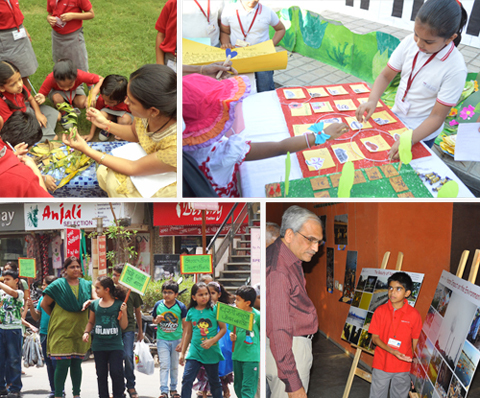 We also conduct various community activities regularly through exhibitions and festivals.